The Yachtmaster Coastal is an exam giving a certificate of competence, acknowledging your seamanship. It is open to experienced sailors, but it does not require quite the same amount of miles and experience as for the RYA Yachtmaster Offshore exam. The RYA Coastal Skipper exam is very similar to the RYA Offshore exam, while the examiner allows for some more leeway and do not expect you to be the ultimate skipper. Commercial Endorsement is possible as an add-on. The difference between “taking the Coastal Skipper” and gaining a real Yachtmaster Coastal is the fact that the former is a course, and the latter is a Certificate of Competence, i.e. the result of a rigorous exam. In other words, when you attend a coastal skipper theory or practical course, you may receive a proof that you have followed the curriculum. After the 5 days at sea, it is up to the instructor to judge whether you quality to the requested standards. The Yachmaster Coastal, on the other hand, is Certificate of Competence, meaning that you have been examined by a special Yachtmaster examiner. A Certificate of Competence is the result of the 6-10 hours practical exam when the examiner checks your theory knowledge and judges you as a skipper, observing how you handle the boat and its crew. The Yachtmaster Coastal Certificate of Competence is highly regarded throughout the world and is only surpassed by the Yachtmaster Offshore. If you wish to have a real proof of your abilities as a coastal skipper, and feel that you are not quite up to the Yachtmaster Offshore standards, or do not have the many (tidal) miles necessary, the Yachtmaster Coastal is for you. In addition, you need to hold a VHF certificate and a valid first aid certificate. If you are not sure whether you should try to become a Yachtmaster Offshore or better do the Yachtmaster Coastal exam, your instructor can help you during the Yachtmaster Prep course. You are welcome to join Regina Laska on one of its Yachtmaster Prep courses. While you get prepared for the final exam, we can jointly judge which Yachtmaster exam you should apply for. 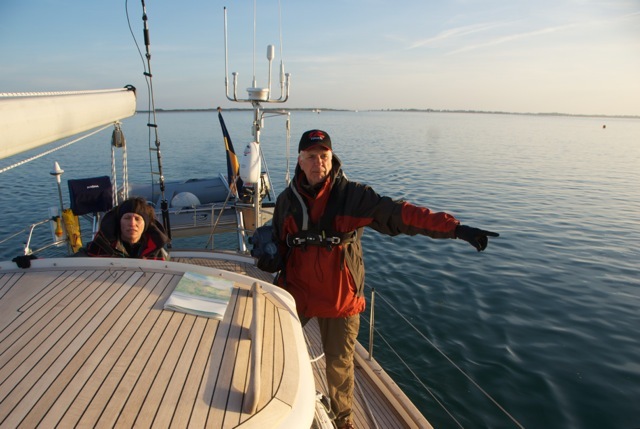 See here for a typical RYA Yachtmaster Prep course onboard Regina Laska.